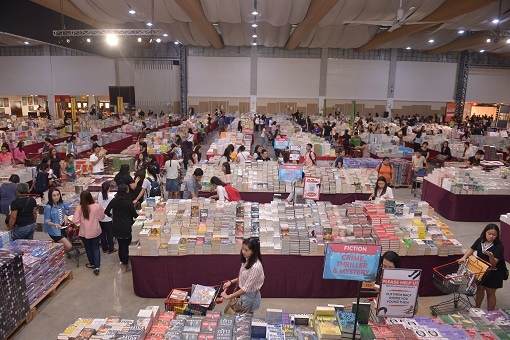 Find more than 1 million books at up to 80 percent off and enjoy 24 hours of non-stop book-shopping at the biggest book sale in the world - The Big Bad Wolf Book Sale opens its doors to all book lovers from Cebu and across the region beginning 13 July – 23 July 2018 at the IC3 formerly IEC Convention Center, the Sale will be open for 24 hours non-stop until the very last day. Readers can expect to find bestsellers, novels, business books, art and design titles, cookbooks and a fantastic range of children’s books ranging from activity books, story books and interactive books. All the books at the The Big Bad Wolf Book Sale are priced at 60% - 80% off their regular prices. The Founder and Managing Director of Big Bad Wolf Books Andrew Yap is happy to be able to bring all these books at affordable prices to everyone in Cebu, including those who are travelling to Cebu for the Sale. He hope that through The Big Bad Wolf Book Sale's presence here in the Philippines, they are able to cultivate a culture of reading and encourage people to read more. They believe that English literacy is important and should be made available to all. Big Bad Wolf will be collaborating with Gawad Kalinga (GK) to donate books to libraries in Budlan, Damanjug and also Bantayan/Ticad through Red Readerhood programme. By equipping these libraries with books, 500 families will have access to these books. Part of the proceeds from the Sale will also benefit programs of GK. Shoppers can also do their part by purchasing books at the Red Readerhood area of the Sale just before the exit. Cebu Provincial Head of Gawad Kalinga Toby Florendo is thankful that now they are able to equip community libraries with quality reading materials. This will definitely help the families to gain access to books and reading materials that can help improve their English literacy and expand their knowledge. Books also act as a good platform to encourage readers to imagine and dream. Reminder to all those planning to visit the Sale to shop responsibly and return unwanted books to where they found them, so books do not go missing and everyone can easily locate the books they want. Each day maybe different, those who return to the Sale again may find brand new titles to pick up as the Sale is replenished. The Big Bad Wolf Book Sale offers few mode of payments in cash, credit and debit cards. GCash payment is also accepted at the Sale. 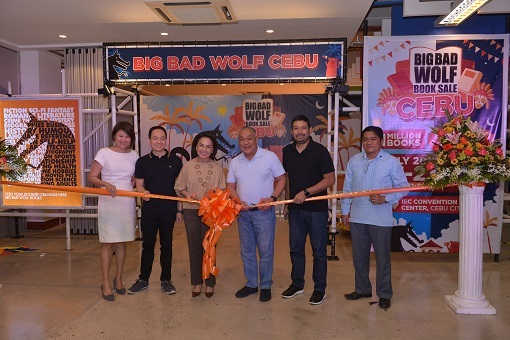 The Big Bad Wolf has partnered with 2GO for the first time to deliver purchased books to shoppers’ preferred destinations for a hassle-free shopping experience. 0 comments: on "More than 1M Books of choice 24 hrs at The Big Bad Wolf Book Sale Cebu"